One of the RAF’s top multi-role combat aircraft will be making a long overdue and welcome return to Clacton Air Show later this month. The Typhoon Eurofighter has not appeared at the event for a number of years and is one of the most popular displays with flight fans around the world. 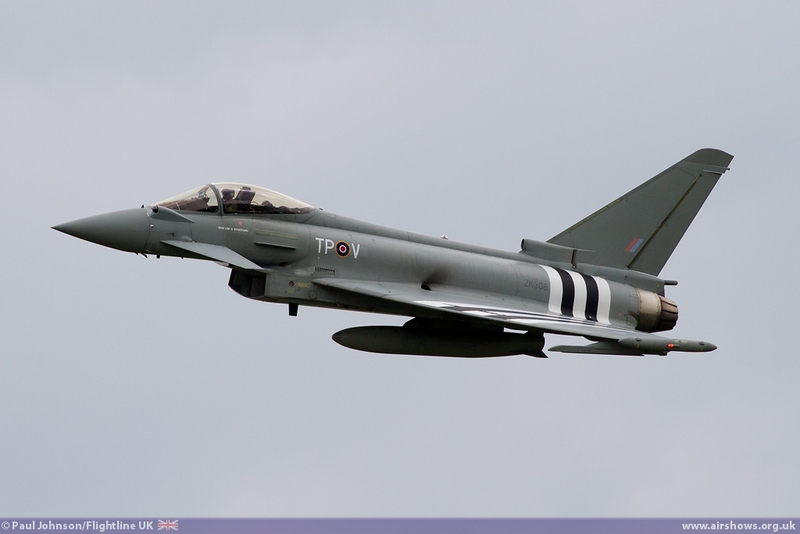 Its many roles include air policing, peace support and high intensity conflict and it is currently employed in various locations including the Falkland Islands. With a maximum speed of Mach 2 plus and carrying a multitude of weapons it allows the RAF to deliver combat air power wherever and whenever it is required. Mark Platt, Tendring District Council’s Cabinet Member for Tourism, Culture, Leisure and Events, said it is a fantastic coup to get the Typhoon and the icing on the cake for the show. “It is some years since this versatile powerful jet has been seen in the skies over Clacton – but is not for the want of trying,” he said. “It provides a fantastic spectacle and is a valuable addition to any line-up and I can’t wait to see it perform. The Typhoon joins the Red Arrows, Avro Vulcan, Royal Canadian Lancaster and Battle of Britain Memorial Flight among those signed up for August 21 and 22. They also include the Sea King Helicopter, Tutor, Autogyro, Essex Air Ambulance, RAF Tucano, the Breitling Wingwalkers, the Trig Aerobatic Team, Rolls Royce Spitfire, the Bulldog as well as Richard Goodwin and his modified Pitts S2S G-EWIZ. “It is a truly amazing list and I congratulate our team behind the scenes for pulling this all together – there really is something for everyone and I am sure it will pull in the crowds,” he added. Clacton will once again be the only seaside East Coast event of its kind as attempts to get Lowestoft and Southend off the ground again this year have met with failure. Hopefully fans that would previously go to those shows in the past will be tempted to come along to Clacton as they did last year. The Clacton Air Show is the signature event on Tendring’s tourism calendar and a vital boost to the District’s economy – bringing in around £4 million more than would be generated over the two days without the event. Last year it attracted around 140,000 people over the two days. Due to hard work and careful budgeting the event is getting to a point where it is close to breaking even and is sustainable. Anyone wanting information about trade space should contact 01255 686683 or 01255 686654.